Do you want to get some a really good deal onCustom Covers kit? Here is the place to be. 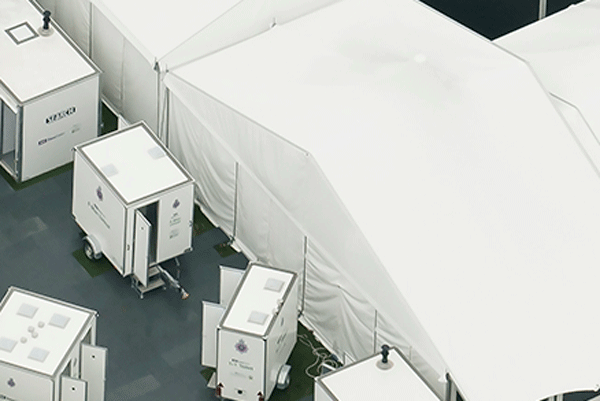 We are adding discounted Custom Covers products to this page all year long, up to 50% off across selected PVC and Linings products. All products for sale are all in usable condition, and we aim to describe the reason for discount as accurately as possible. Please Log In or Create an Account for the best possible experience. 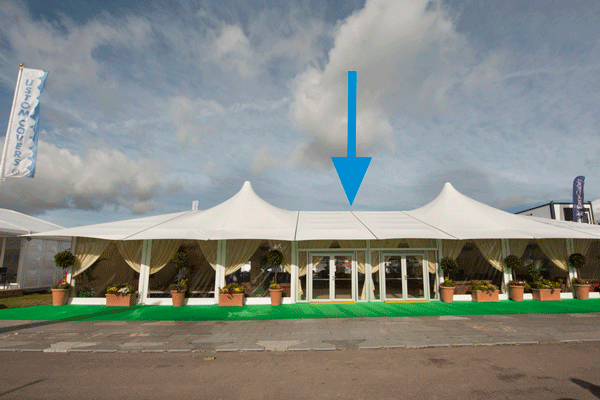 A half tent set of 12m PVC gables with a 150mm valance, it was used at the Custom Covers stand at the Showman's Show in 2017. 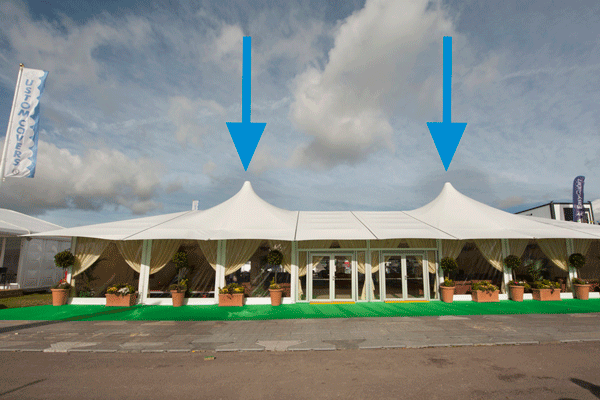 It is compatible with Custom Covers bar tension structures, spanning 12m with a 20° pitch. 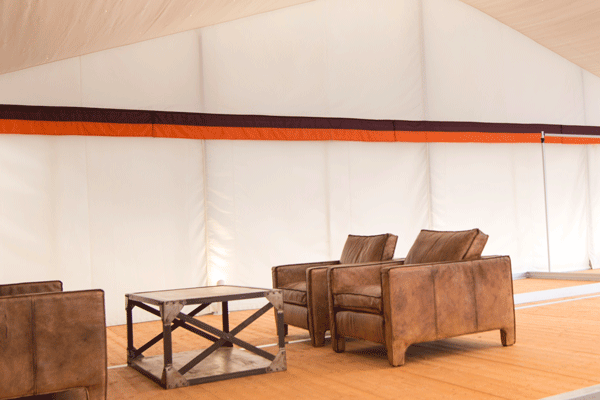 A 2-piece bar tension wall, made from high quality PVC, used at the Showman's Show 2017. 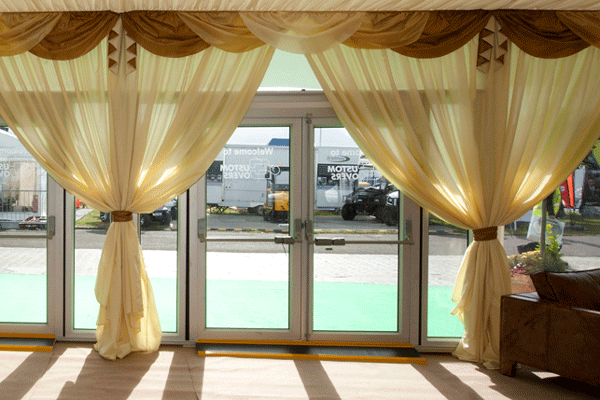 Compatible with any bar tension 3m bay Custom Covers structure. Compliment your Hayling frame with a set of cones to match. This is a set of 9m cones which were used at our 2016 Showman's Show stand. Compatible with a Custom Covers Hayling frame and Cone attachment. 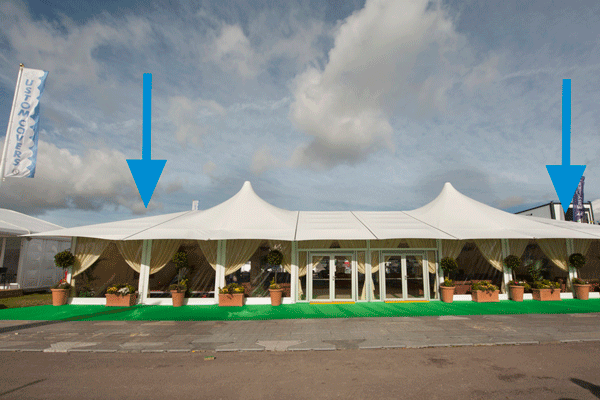 Keder fed PVC roofs for a 9m hayling Roof, great for creating a unique scalloped edge around the marquee. used at our Showman's Show stand in 2016. 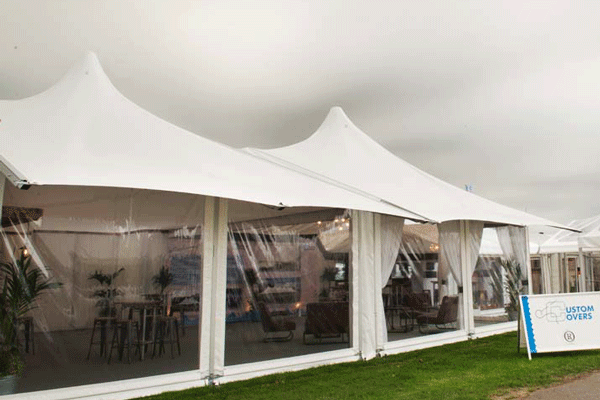 Cap off your hayling structure with a tent set of PVC hip-ends, shown off beautifully at the Showman's Show 2016. Designed to be keder fed through Custom Covers 9m Hayling Frame Hip-ends.